CLICK THE IMAGE ABOVE TO START! 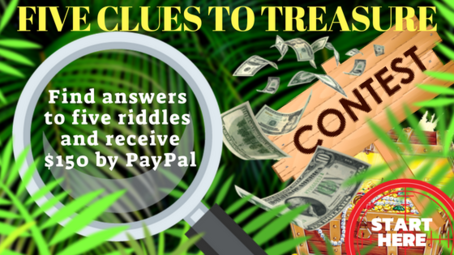 The Contest runs within the period of time from when the first clue to solve is posted on the website's landing page until all 5 clues are solved by a visitor who will be verified and confirmed as the Contest winner based on submitted contest entry form. To become the winner of "Five Clues to Treasure" Contest, visitors must solve 5 (five) consecutive clues with increasing difficulty level. 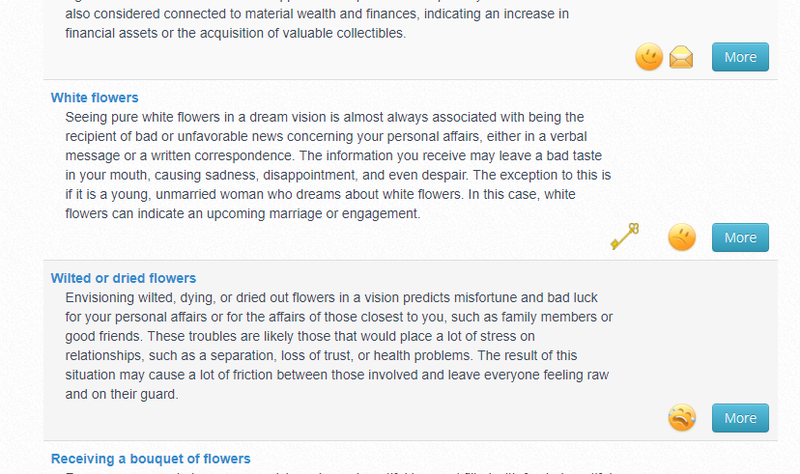 The answers could be guessed and found by browsing through the website pages and clicking on a dream symbol in blue which is deemed by the participant to be the correct answer to each given clue. 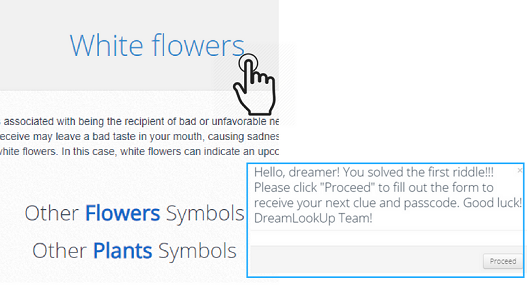 Visitors are reminded that webmaster@dreamlookup.com email address should be added to the list of safe email addresses in order to participate in the Contest. The website is not responsible for lost, blocked or misplaced email correspondence as part of this Contest. The number of correctly guessed clues and overall progress of the Contest can be seen on the website landing page which will track the total number of participants who found correct answers for each of the five clues. A person who reaches the correct answer to the last clue #5 ahead of others will have to go through the validation process in order to receive the Contest prize. A contest entry form must be filled in, which will include contestant's email address, time stamp (populated automatically) and a random word for verification purposes (populated by the visitor). Upon submission, this form will be automatically emailed back to the contestant as an entry confirmation receipt and to webmaster@dreamlookup.com. Selecting the Contest winner will be based on the time of submission of the Contest Entry Form after solving the last clue #5. The website reserves the right to terminate the contest at any moment after the desired number of eligible contestants is reached. A seven (7) day period is required to verify and determine the Contest winner. If we are unable to contact the first confirmed winner within this period, the next eligible contestant will be selected to be contacted. The contest prize is US $150.00 paid through PayPal and which will be sent using the same email address/account as contestant's email submitted through the Contest Entry Form. A PayPal account which does not match the email address submitted through the Contest Entry Form will disqualify the contestant from receiving the prize and the next eligible contestant will be chosen instead. Members of DreamLookUp Team are not eligible to participate. The winner will be announced on the Contest page www.dreamlookup.com/contest after successful selection and payment process using Contestant's first name, last name's initial and country of origin, for example John B., Italy. No other type of information from the Contest Entry Form shall be released to online website viewers according to our Privacy Rules. CLICK THE IMAGE ON TOP TO START!